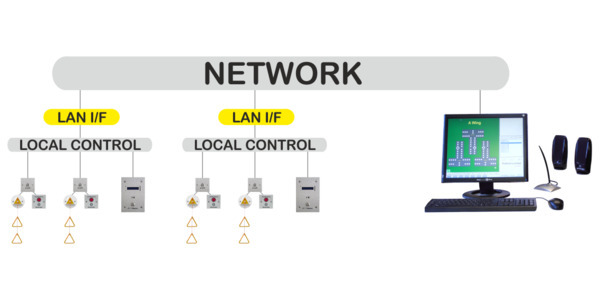 Our emergency assistance alarms over IP make use of existing network infrastructure to offer better, more flexible, Document M compatible, systems whilst reducing installation time and costs. There is no need to install long runs of cable, somebody else has done the donkey work, bypassing obstacles, etc. 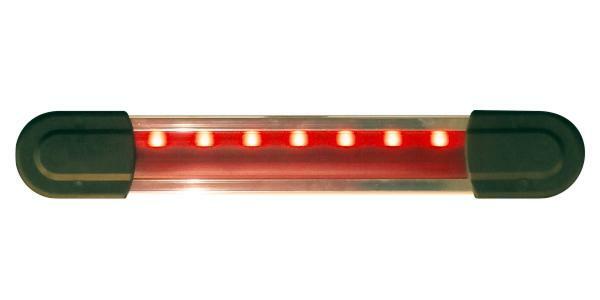 Folknoll now supply illuminated alarms strips treated with antimicrobial compounds offering better protection for users. 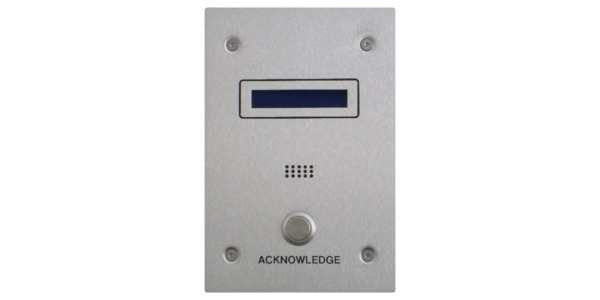 Monitor disabled toilet and other emergency assistance alarms over IP Networks with our NIOS PC workstation. Fully compatible with our range of tough vandal resistant disabled toilet alarms. 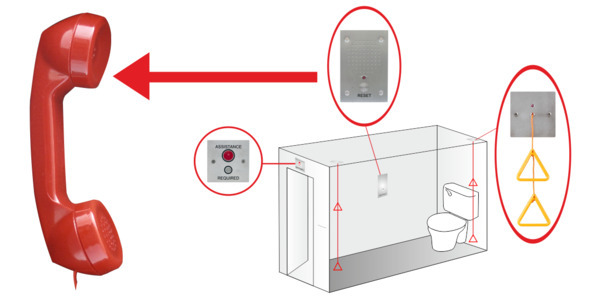 A new way to monitor disabled toilet alarms. Offers 2‑way speech to reassure users and allow remote assessment. 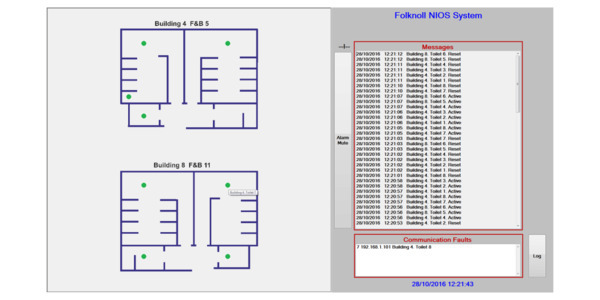 Reduces control room clutter, and benefiting from existing telephone network features, e.g. night‑time call forwarding and DECT handsets.